In this data visualization classic, Hans Rosling applies his visualization tools to data on life expectancy, fertility rate, GDP, infant mortality, etc. 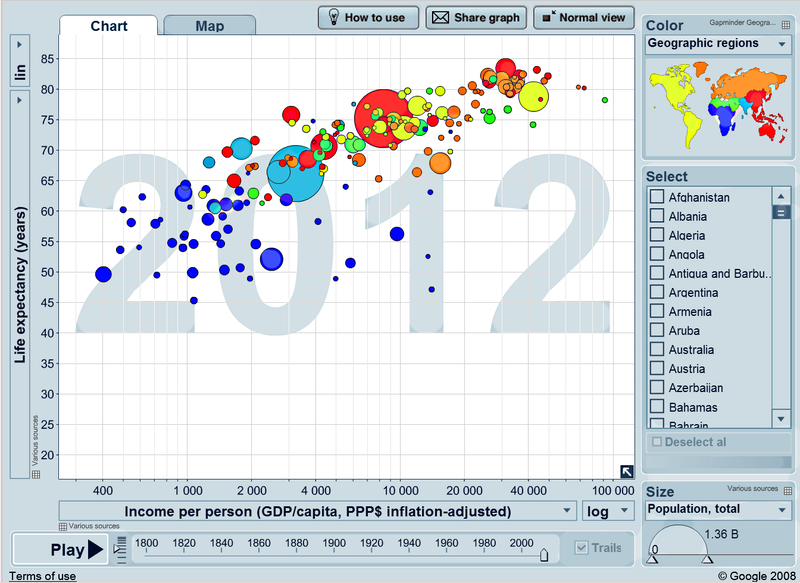 His tools present data dynamically -- we see changes over time -- and he is a dynamic, funny speaker as well. The talk ends with visualization of some Internet penetration data and a plea for open access to government data. The talk is immodestly titled "The best stats talk you've ever seen," but it delivers what it promises. If you are hooked, you can interact with his tools and follow him on his Website. 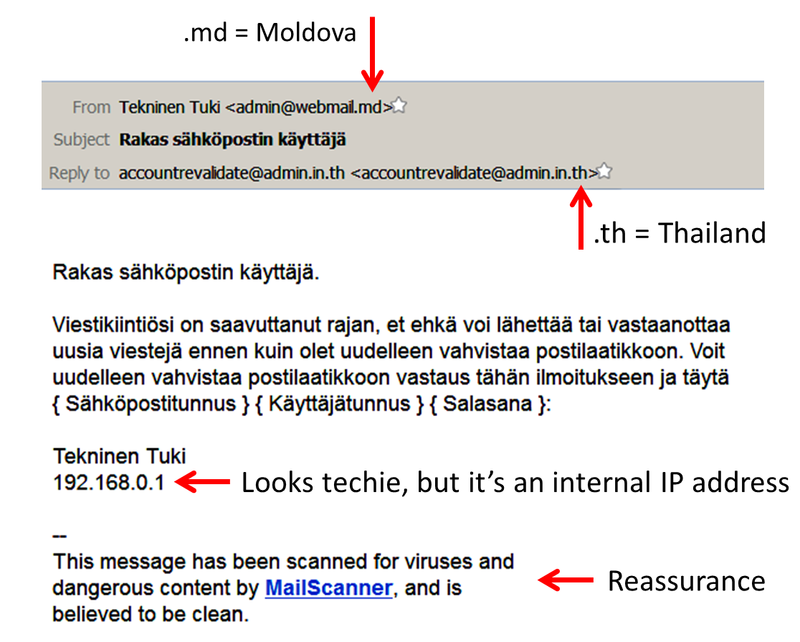 The other day, I got an email with the subject line "Rakas sähköpostin käyttäjä." I shared this with my class -- it's a funny example that makes the point that you should be careful what you click on. The title of this podcast, "The Times they are a Changin," does not refer to the Bob Dylan song, but to the fact that, on a cosmic scale, we can't take anything for granted. The Radiolab hosts weave commentary with clips from experts to explain that, about 4.5 billion years ago, when the moon was created, it was about ten times closer to the Earth than it is today and days were around six hours long. (The podcast has a second part -- a six minute long conversation with Neil deGrasse Tyson). Office for the iPad -- too late? The browser is the next battleground. Microsoft finally released Office for the iPad, but the iPad is four years old -- this announcement is long overdue. Preliminary reviews say they have done a good job on the touch user interface, but isn't that the last war? The next war is not over the tablet or phone, but over the browser. Any operating system without a browser is going to be f****** out of business. Should we improve our product, or go out of business? 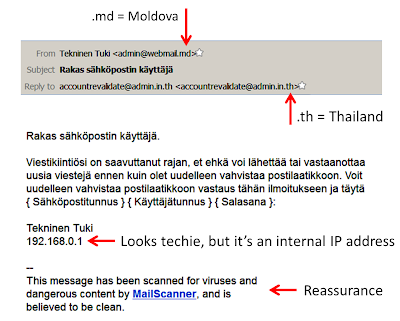 One thing we have got to change in our strategy - allowing Office documents to be rendered very well by other peoples browsers is one of the most destructive things we could do to the company...This is a case where Office has to avoid doing something to destroy Windows. I have been using a Chromebook for a week and I use Google Docs quite a bit, and, while I like both, am not ready to give up Windows. But, I bet there are a lot of folks who would abandon Windows if they could run Office in a browser. What would have happened if Microsoft had released Office for the iPad, say, two years ago? It would have helped iPad sales and hurt Windows tablets for sure, but Windows tablets are not doing well regardless, and Microsoft and Office would have strengthened their dominant position with professional and enterprise users. Maybe they should have rebranded themselves the "software and services company" instead of "devices and services." Now let's look forward, say, five years. I will have a gigabit Internet connection (well, not if Time Warner has their way) and my Chromebook will be very fast and compatible with HTML6. Will I want to use Office 365 and One Drive or Google Docs 2019 and Google Drive? Which one will my university or an enterprise settle on? Today, Microsoft has the advantage of having many years of experience with Office and full-featured productivity applications. (Charles Simonyi, who worked on object-oriented programming on computers with bit-mapped displays at the Xerox Palo Alto Research Center in the 1970s, led the development of Word and Excel at Microsoft). They also have a solid grip on the enterprise. Microsoft "got" bit mapped displays before Google existed, but Google "got" the Internet before Microsoft did and they have more experience with network infrastructure and applications with their data centers, Google Fiber and Google Docs/Drive. They've also got the chromebook and Chrome. (That being said, both may end up running on Mainframe 2 if that technology prevails). I don't know which will "win" the browser battle (it may end a tie) and neither do the folks at Google and Microsoft -- and that is good news for us as consumers and citizens. 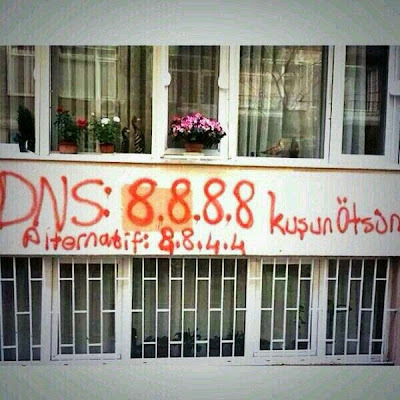 When the Turkish government decided to "obliterate" Twitter, they got a court order allowing them to delete the IP address corresponding to twitter.com from the domain name servers (DNS) used by Turkish ISPs. 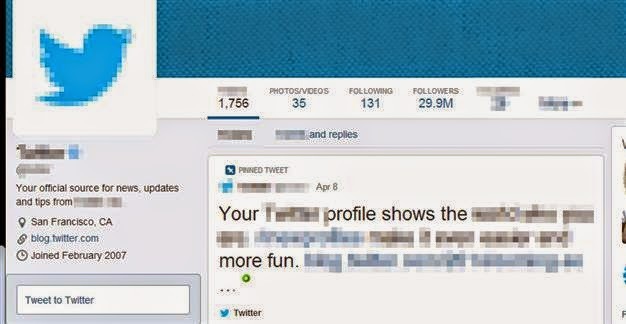 Twitter.com became an unknown host name. But the DNS your ISP uses is not the only one on the Internet -- there are many. If you knew the IP address of an alternative DNS, you could continue accessing Twitter. The government ploy may have worked a few years ago, but people are now more computer savvy and those who wished to continue using Twitter quickly switched to Google's public DNS. As the government learns the IP addresses of the various proxy servers around the Internet, they can block them, but there are many available and new ones come online when old ones are discovered. At that time, there were only a handful of citizen journalists; today there are millions. More on the ability of the Net to route around censorship. Turkey will hold municipal and regional elections on March 30, and Reporters without Borders just published a post on the “Toxic climate for media a week ahead of elections.” The post links to several other posts from this month and last. 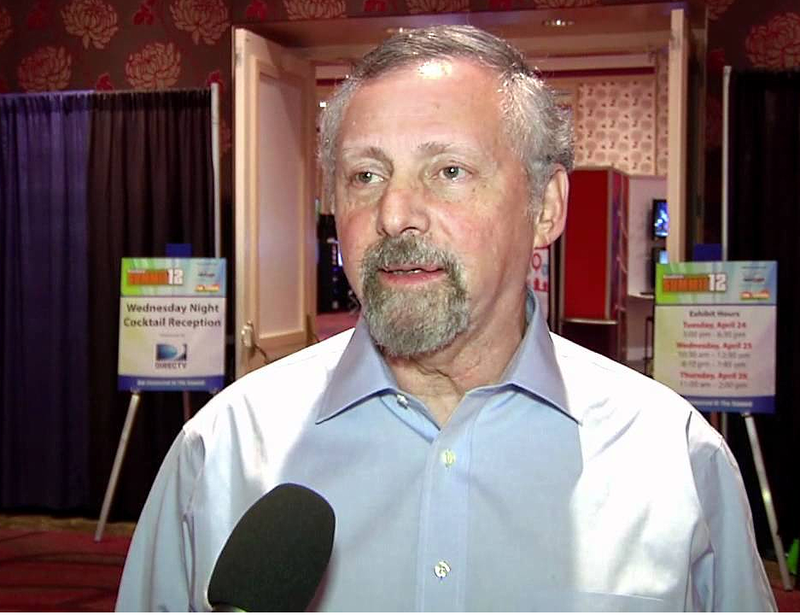 While focused primarily on television and print, the posts also address electronic media. Check, for example “Blocking of Twitter -- worthy of the most repressive regimes,” which offers a tutorial on four ways to remain in contact with Twitter. Turkey blocked YouTube after a recording of a top-secret military meeting was posted, but the recording has been copied to Dropbox and circulated online -- you can’t put the toothpaste back in the tube once its out. 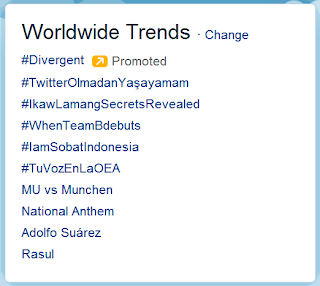 Their attempt to block Twitter earlier in the week resulted in silencing regime loyalists, but not critics. Twitter now has posts mocking the prime minister’s high voice and the failed attempt to block Twitter. 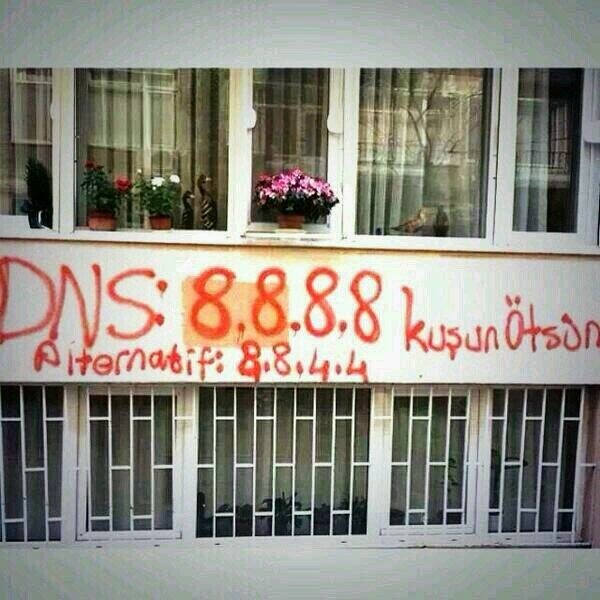 The cat fights back -- the Turkish government has blocked access to Google's public DNS -- Turks using 8.8.8.8 or 8.8.4.4 will now be using a fake domain name server. Turkey is now blurring (pixelating) offensive tweets. Is that for real? Do they automate the process? Is Twitter cooperating? Is April Fools Day on the 17th in Turkey? The Turkish Constitutional Court has ruled that Turkey's telecommunication authority does not have the right to close websites on grounds of protecting national security. The court also ruled against their authority to store internet data for up to two years. (They had been granted these powers when parliament passed amendments to the Internet Law on September 10). For any given U.S. household, there is often only one or two choices for getting high-speed (10 Mbps) Internet access and that’s unlikely to change. When an ISP sells a consumer a 10 or 50 megabits-per-second Internet package, the consumer should get that rate, no matter where the data is coming from. As a consumer, I like the sound of that second quote -- I think that is what Hastings considers “strong net neutrality.” But, if the ISPs are not allowed to charge a “toll” for your traffic, won’t they pass their interconnect cost on to us consumers? Isn't the monopoly market the real problem? If Netflix and others do not pay a fee to the ISP, won't they raise consumer prices? What can be done to solve the real problem (for individuals and society) -- a lack of ISP competition? Regulation or competition from local government-operated networks are two traditional answers and there are hopeful signs on both fronts. The FCC wants to formulate new rules with regard to net neutrality and is considering measures to overturn state laws restricting public broadband. Perhaps the citizens (voters) are getting fed up and the FCC is beginning to hear them -- is there a glimmer of light at the end of the tunnel? Consumers are choosing Netflix and if we’re supposed to pay some of the cost of the network, maybe we should get some of the broadband revenue ... we’ll pay 10% of your network costs if we get 10% of broadband revenue. Or we’ll pay 10% of your network costs if you want to pay 10% of our content costs. The crazy thing in this whole debate is the actual amount of money being talked about is trivial to both of us – but we’re both worried on both sides about the precedent and what does it mean in the longterm? Bob Garfield of On the Media interviews James Baller, an attorney representing local governments in their effort to provide or help provide broadband service. Baller, who has worked on municipal broadband networks for many years, points out that when a city asks a cable provider to upgrade their service, they are often turned down because the cable company does not think it is a good use of their capital, but, if the city then decides to do their own network, the cable company fights them in court. The large ISPs have succeeded in passing legislation blocking public broadband networks in nineteen states and they are currently trying to do the same in Kansas, perhaps triggered by Google Fiber's presense there. (Note that the FCC may try to overturn turn those state laws). The Baller-Herbst web site also has links to a lot of resources related to community broadband. Yesterday, I gave my class a presentation on citizen journalism. Today, Turkish Prime Minister Erdogan provided a terrific example when he declared his intention to "eradicate Twitter" and went on to block access to their site. 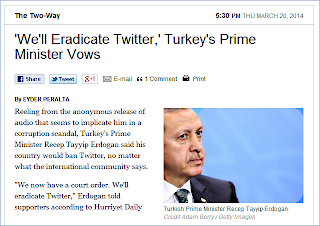 The futility of that act was soon apparent -- Twitter and others published technical tips showing how Turks could continue using Twitter -- and they did. Politicians -- the President of Turkey, the Mayor of Ankara and the vice-president of the EU commission -- also spoke out against the move by Erdogan. As the saying goes -- the Net routes around damage. 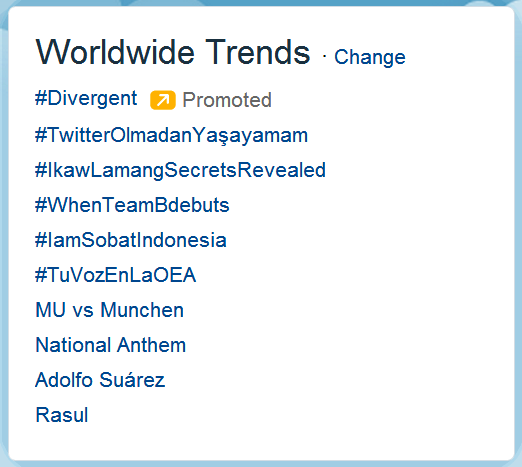 The hashtag #TwitterOlmadanYaşayamam (I can't live without Twitter)﻿ soon rose to the top of Twitter's worldwide trending topics. Internet-based citizen journalism has played a role in politics for nearly a quarter century, but both bad guys and good guys use it as a political tool. I may be naive, but when historians look back years from now, I think the good guys will have won. Brooke Gladstone of On The Media interviews communication scholar Susan Crawford, author of "Captive Audience: The Telecom Industry and Monopoly Power in the New Gilded Age." Crawford opposes the Comcast takeover of Time Warner Cable, and it is not yet a done deal. She says its impact on the markets for content and equipment will be considered along with the ISP market. Regardless of the Comcast takeover, the Crawford feels the ISP's local monopolies must be addressed through either regulation or alternative (local government) networks. 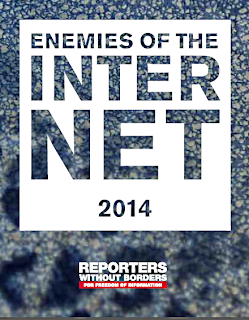 Reporters Without Borders has added the US NSA and UK GCHQ to their list of "Internet enemies." 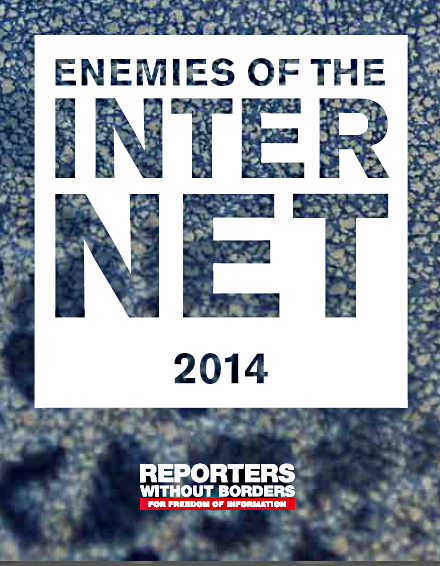 Reporters Without Borders has published their 2014 Enemies of the Internet report. The report names 31 specific national agencies and the US National Security Agency (NSA) and UK Government Communications Headquarters (GCHQ) are on the list. The report considers surveillance, censorship, imprisonment and disinformation in characterizing a nation as an Internet enemy. The NSA was cited for surveillance and imprisonment and the GCHQ for surveillance. The widespread surveillance practices of the British and U.S. governments, unveiled by Edward Snowden in June last year, put Britain’s Government Communications Headquarters (GCHQ) and its U.S. equivalent, the National Security Agency (NSA), at the centre of a worldwide scandal. As part of its project “Mastering the Internet”, GCHQ has developed the world’s biggest data monitoring system. Supported by the NSA and with the prospect of sharing data, the British agency brushed aside all legal obstacles and embarked on mass surveillance of nearly a quarter of the world’s communications. In June 2013, computer specialist Edward Snowden disclosed the extent of the surveillance practices of the U.S. and British intelligence services. Snowden, who worked for a government sub-contractor and had access to confidential documents, later exposed more targeted surveillance, focusing on the telecommunications of world leaders and diplomats of allied countries. Activists, governments and international bodies have taken issue with the Obama administration, as the newspapers The Guardian and The Washington Post have revealed the extent of the surveillance. The main player in this vast surveillance operation is the highly secretive National Security Agency (NSA) which, in the light of Snowden’s revelations, has come to symbolize the abuses by the world’s intelligence agencies. Against this background, those involved in reporting on security issues have found their sources under increasing pressure. 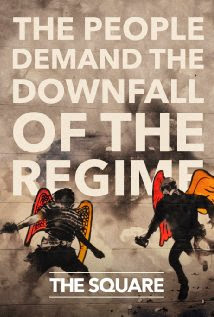 Brooke Gladstone of On The Media interviews Karim Amer and Jehane Noujaim, the producer and director of The Square, an Oscar nominated documentary on the Arab Spring. They speak of the Arab Spring and the global paradigm shift social media is causing. And we look today at what’s happening in Kiev, we see the same exact image. We look at Caracas last week, and the same thing is happening. We look at Istanbul. And we start to realize that this isn’t just the Arab Spring, Winter or Summer. This is a global paradigm shift. When it started off in Egypt it was a very lonely fight between the Egyptian dictator versus the Egyptian protester, but when all of you and the rest of the world started watching what was happening, you leveled the playing field. Your witness provided protection for us. And that’s the way that we can change the world today. (For what was perhaps the first example of political citizen journalism on the Internet, see this discussion of Usenet during the 1991 Soviet Coup attempt). Are the new Roku radios less sensitive than the old ones? I had an old Roku XD in my bedroom but, when Roku added PBS, it turned out their programs were incompatible with my XD. (The explanation of the incompatibility is interesting in its own right -- See this discussion and this post from Roku for the details). I had gotten my money's worth out of that old Roku and also wanted the remote headphone feature and faster processor in the newer Roku 3, so ordered one. When it arrived, I installed it and settled back to watch TV, but it went through the menus more slowly than the old XD had and I began seeing pauses for buffering, which I had never seen with the XD. It was not robust, but the old Roku XD had functioned well with that signal -- could the new Roku radio be less sensitive than the old one? Neither is a "five bar" signal, but my old Roku works with either. I may have gotten a bad Roku 3 (Roku is willing to exchange it, but that would leave me without TV for a week or so) or it may be that the radio in the newer model is less sensitive. Regardless, it would be helpful if radio sensitivity were included in product specs and reviews -- by Roku and any other WiFi device manufacturer. Some have declared this month the 25th birthday of the Web because Tim Berners-Lee submitted a document called Information Management: a Proposal to his bosses at CERN in March 1989. I am not sure what constitutes the birthday of an application. For example, Request for Comments 1945, defining HTTP/1.0, states that "HTTP has been in use by the World-Wide Web global information initiative since 1990" and the following announcement of availability of running code was posted in August, 1991. 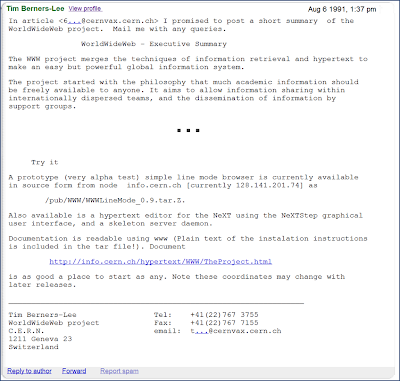 Regardless, by 1992 the Web was well underway and we were surfing using a text-oriented browser called Lynx from the University of Kansas. (Recall that graphic workstations were quite expensive at the time and PC graphics were very crude, so nearly everyone worked with text in those days days, and the first Web release was text only -- no images). 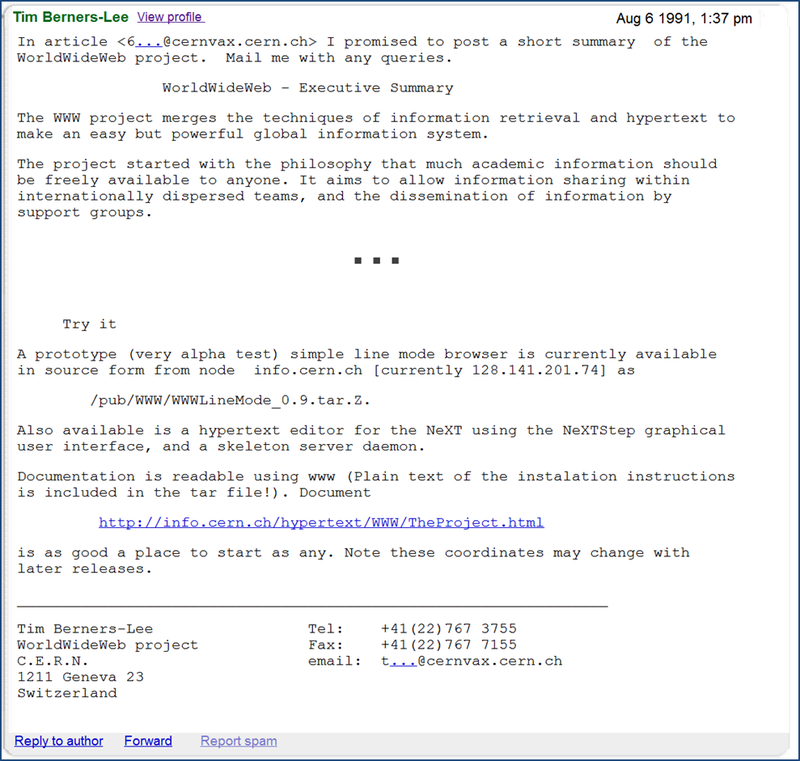 In 1993, I attended a presentation on "The World-Wide Web Initiative" by Tim Berners-Lee at the Internet Society INET Conference. In my usual prescient manner, I found it interesting, but recall dismissing it as "Gopher with pictures." (Gopher was a system for distributed documents, but links were restricted to a table of contents at the start of a document and there were no pictures). (I was working in developing nations at the time -- my presentation was on "Empowering Low-Bandwidth Users" -- people with no hope of Web access). My next encounter with the Web was as an instructor in the 1995 Internet Society Developing Nations Workshop. On the last day of the workshop, we installed Mosaic on a Sun Workstation, and showed the students a collection of pictures of dinosaurs at a community college in Hawaii. That was pretty cool -- I finally got it. 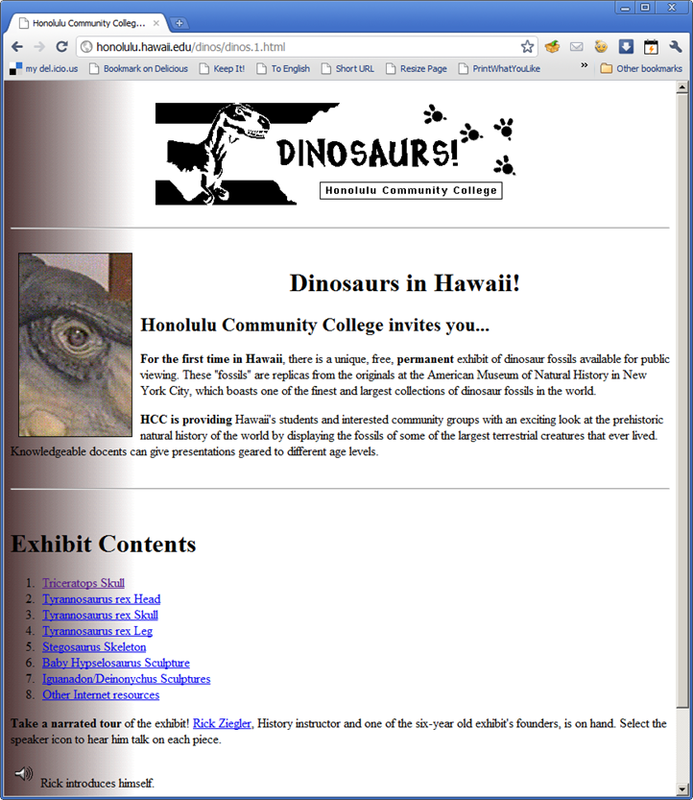 I returned to campus and put our university's first Web site online using a PC running Windows 3.1 and an HTTP server written by Bob Denny. It crashed a lot, but my students were able to design, collect data for and publish a Web site with the course catalog and pages for each professor with their photos and interests and the departments and majors. (This was just for the School, not the entire university). I also got funds from the USC Information Sciences Institute and installed a T1 link to four old NeXT workstations at Crenshaw High School in Los Angeles -- we were off and running. You cannot trust reminiscence! In looking back, the last paragraph of this post is totally incorrect. We had eight NeXT machines, not four and they were online before I saw the Web! We used them for surfing Gopher sites and for a telementoring project. I just came across an old blog post that sheds further light on the early Internet culture -- a discussion of the choice of the top level domain names like .com and .edu. I have claimed that we would see innovation in educational pedagogy and technology as a result of the feasibility and interest in MOOCs and modular courseware. Well, I just saw a post by Lauren Weinstein in which he linked to a good example, World Science University (WSU). 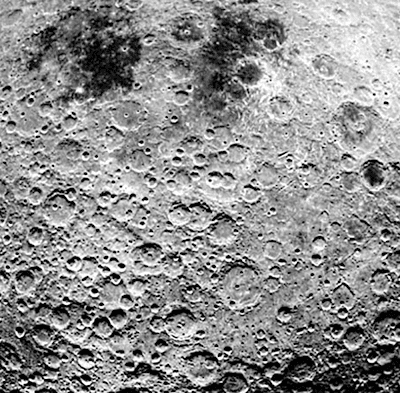 So far, there is not much there, but what is, is indeed innovative. I've watched part of a course on special relativity and here are some of the innovations. There are three levels of granularity. 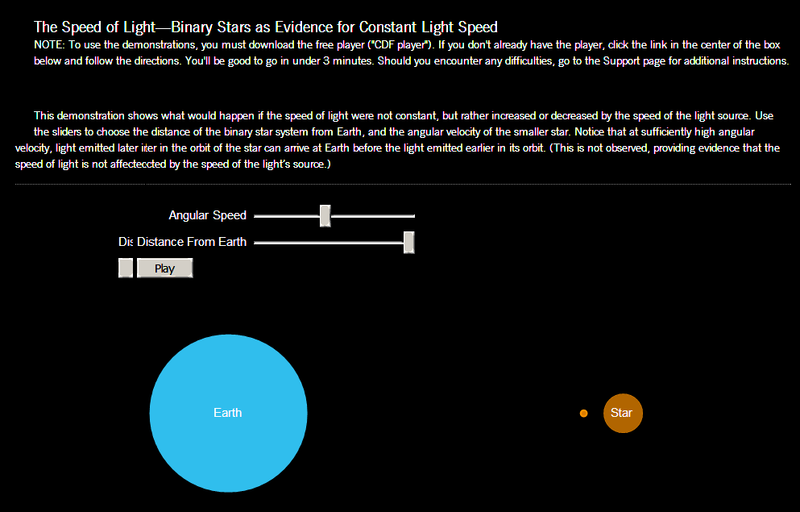 The first level is like an FAQ on the topic. 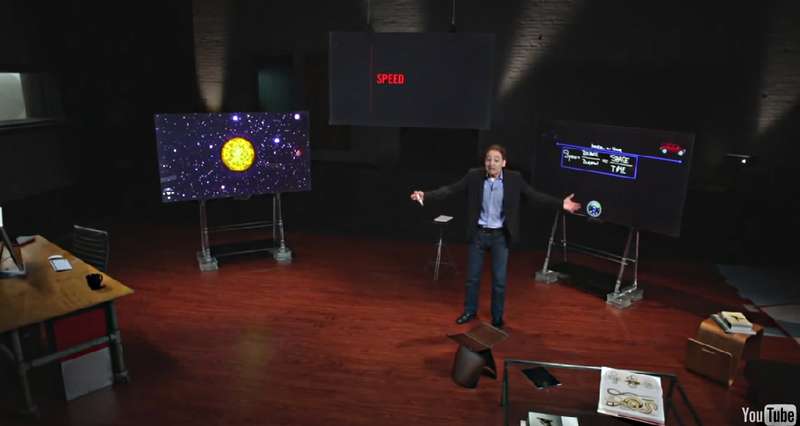 The teacher, PBS Nova host Brian Greene, poses questions then answers them. The second level is a no-math short course -- eight or nine hours of self-paced material with no math or homework. The third level is an 8-10 week college-level course with math. Greene uses a TV-like lecture style. He is not a talking head or a voice behind a screen presentation, but an animated lecturer moving around on a stage -- like a TED talk. The lectures are tightly scripted, shot with multiple cameras and edited like polished TV video. The user interface features a five-dimension timeline, showing the video lectures, demonstrations, (threaded) discussion, office hours and reviews. It is displayed below the video and can be toggled on and off. Greene uses two large interactive displays. He can write and draw on the displays -- as one would on a whiteboard. He also uses them to display animations and to interact with programmed demonstrations and simulations. The lecture segments are interspersed with review videos. In addition to multiple choice questions, the review might have Greene asking, then answering, a significant question or giving a summary of the previous video lecture. The students can run the demonstrations themselves. For example, during a lecture on experiments to demonstrate that the speed of light is constant, Greene interacts with a binary star simulation. After watching Greene run the simulation, the student can link to and run it themselves. 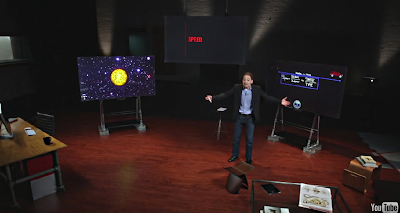 I've only watched part of one course -- a short course on special relativity -- and found it impressive. It was a better learning experience than sitting back and watching a Nova program, but just as accessible. So far, WSU has produced hundreds of answers to "FAQ" questions, three physics short courses and three university level physics courses. They are working on biology. But, can it scale? The production cost and quality are high. (Some of the animations I saw were repurposed from Greene's PBS Nova production "The Fabric of the Cosmos"). Greene is an experienced, dynamic lecturer and author -- can they find other lecturers as good as he is? WSU is a .com -- do they have a viable business model? Well, I for one hope it scales and prospers -- the course I've been taking is terrific. 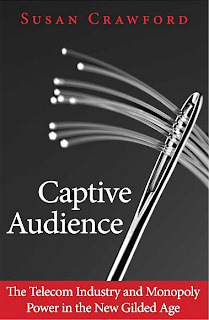 The first applications of new media -- books, movies, television, radio, textbooks -- often mimic previous media. 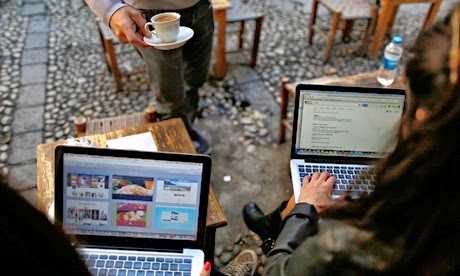 Early MOOCs emulated university classes. But, most people who take MOOCs are not interested in emulating a university class or getting university credit. Netflix deviated from the standard format TV format with their 13 hour drama House of Cards and The University of Leeds has departed from the university course format in this 8-hour short course. 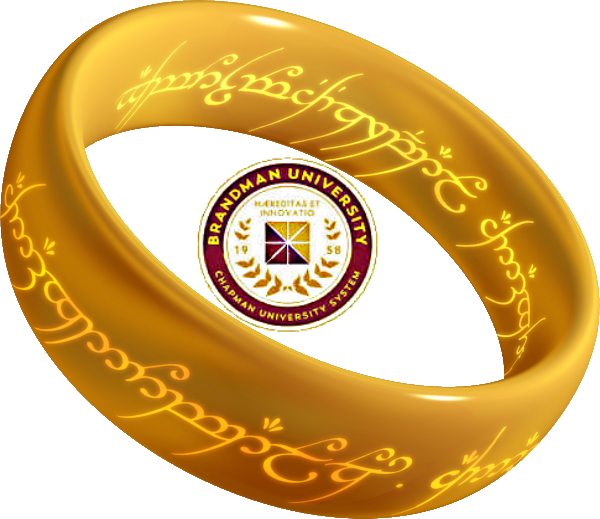 What other forms will the MOOC take? I wrote a post on the conversation I had with a Time Warner Cable (TWC) retention agent, in which I cut nearly $40 from my monthly bill by threatening to cancel my account. The post was referenced on Slashdot, causing it to be viewed over 45,000 times, and it occurred to me that it might be noticed by someone at TWC, who could reverse my savings in retaliation. To document my promised promotions, I started a chat session with Rueben, a TWC online representative. It turns out that was a mistake. When this entire transaction began, I was on a plan with up to 20 mbps download and up to 2 mbps upload. The first representative evidently increased that to 20/5, and Rueben cut it back to 15/1. So, I am paying less than I was before, but for slower service. The first rep had improved my service level, the second rep reversed that and then some. TWC’s negotiation policy is opaque and capricious – perhaps expected when haggling at a garage sale, but not in dealing with a professional service provider. But, as the monopoly provider of an essential service, TWC can do whatever they please. Rueben>Thank you for contacting Time Warner Cable. At the end of our chat you will be given the option of taking a brief survey. My name is Rueben and I would be happy to help you. Rueben>How can I be of your assistance? LAURENCE_>Yesterday, your rep gave my account a promotional rate. Can I get the savings pro-rated for the balance of this month? Rueben>Thank you for sharing the information with me. Rueben>I will be happy to help you with the information regarding the billing and promotion on your account. Rueben>Before we begin, I would like to review your account, allow me a moment here. Rueben>I have checked your account and you are subscribed to Standard Internet and Home phone services for $64.99. Rueben>The charge for modem is $5.99. Rueben>There is a credit balance of $15.59 on your account. LAURENCE_>Right, but my last month's bill was more -- before the promotion. Can that be prorated? Rueben>I do understand that you are concerned about the "Partial Month" charges reflecting on your bill. Any time a service is added or removed from your account, this line will appear on your bill. Your cable bill charges for one month's service in advance. All services are therefore prepaid prior to usage. The "Partial Month" (known as a Pro Rate) covers the period that you had service in addition to your "Monthly Service" charge. If your service was just installed or you’ve recently changed your service, partial month charges may be shown on your bill. 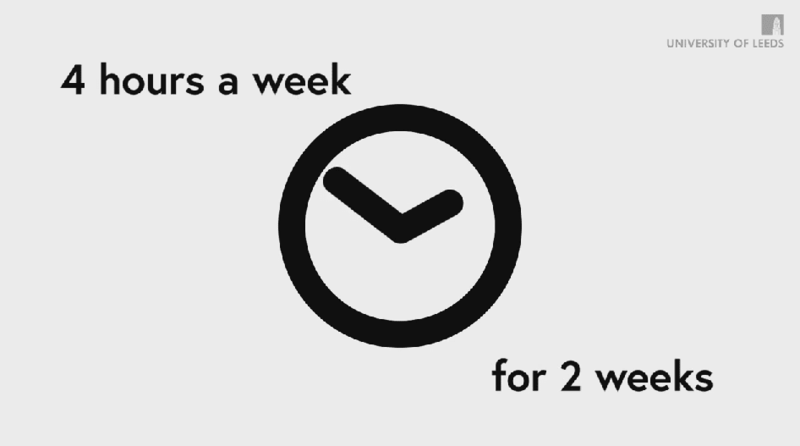 This ensures that you will only be charged for the correct number of days for your service. Rueben>Previously the charge for phone and internet services on your account was $83.99. Rueben>Currently you have the same services for $64.99. Rueben>As the services were changed in between your billing cycle, there are pro-rates applied on your account for the old and new package for phone and internet services. LAURENCE_>You say my previous rate was $83.99, but I was billed $115 -- why? Rueben>The charge for Turbo upgrade was $10, Home Wifi was $4.95. Rueben>The charge for Voice mail was $3.95. LAURENCE_>The rep told me my Internet service would be the same speed -- is Turbo faster than I currently have? Rueben>The download speed for Turbo is up to 20 mbps and Standard is up to 15 mbps. LAURENCE_>So she was incorrect when she told me it would be unchanged? Rueben>Please give me a moment while I check that for you. Rueben>Thank you for waiting. I really appreciate that! Rueben>I have checked the account details and Standard Internet and Home phone package was added on your account. Rueben>If you wish, I can add Turbo upgrade on your account. Rueben>The charge for Turbo upgrade is $10/mo, on top of current monthly charge. Rueben>I have checked the order details and Turbo 15 plan was added on your account. Rueben>With our Turbo 15 Internet plan, you get download speeds up to 15 Mbps, upload speeds up to 2 Mbps. Rueben>Previously, you had the Turbo plan which had the same download speed as of Standard plan. However, the upload speed is 1 mbps higher than Standard Internet plan. LAURENCE_>I'm confused -- you said I previously had Turbo at 20mbps, then that it was changed to standard at 15 and now it is Turbo 15, which is the same speed as standard? Rueben>I apologize for the confusion. Rueben>We have Turbo 15 and Turbo 20 plan available. LAURENCE_>So, I now have Turbo 15, not standard -- is that correct? Rueben>Currently you have Standard plan on your account and Turbo 15 plan was removed from your account. Rueben>The download speed for both the plans is the same. Rueben>However, upload speed is 1 mbps higher for Turbo 15 plan. LAURENCE_>I see -- now both my upload and download speeds are slower than previously. What was my old uplload speed? Rueben>With our Standard Internet plan, you get download speeds up to 15 Mbps, upload speeds up to 1 Mbps. LAURENCE_>And with my previous plane it was 20 down and 3 up? Rueben>The Turbo 15 plan had 15 mbps download and 2 mbps upload. LAURENCE_>And my initil Turbo plan was 20 down and 3 up, right? Rueben>Let me check this for you right away. Rueben>I am sorry, but we do not have a Turbo plan with 20 mbps down and 3 mbps up. LAURENCE_>You mentioned turbo 20 above -- is that 20 down and 2 up? LAURENCE_>And is that what I had previously? Rueben>Previously you had Turbo 15 - 15 mbps down and 2 mbps up. LAURENCE_>Sorry, I thought you had said I had turbo 20 before. So, my standard plan is the same download speed as before, but the upload speed is lower. Right? LAURENCE_>So she was mistaken to say it was the same. Rueben>Let me explain the plan change order. Rueben>Previously you had Standard Internet + Home phone package for $83.99, Turbo 15 for $10, Home Wifi for $4.95, Modem for $5.99 and Voice mail for $3.95. Currently you have Standard Internet + Home phone package for $64.99 and Modem for $5.99. Rueben>The download speeds are not affected by the package change, however, the upload speed is lowered by 1 mbps. LAURENCE_>I get it now -- she was correct on the download speed, but not the upload speed. Rueben>I do apologize for this inconvenience caused to you. LAURENCE_>I wish your rep had been straight with me. Rueben>I will take this as a feedback and pass this to our Management. Your feedback is very important to us, as we thrive to improve our services. This will definitely help us to deliver quality services in future. Rueben>Do you have any further questions I can assist you with? Rueben>Again, my name is Rueben. Thank you for chatting with Time Warner Cable. We value you as a customer and are here to assist you 24 hours a day, 7 days a week. If you would like to take a brief survey, please click on close and the survey will load. As mentioned earlier, a welcome bit of infrastructure deployment competition seems to brewing between the telephone and cable companies. 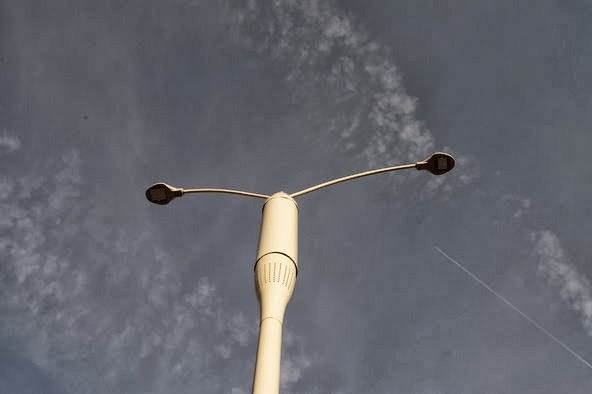 At the Mobile World Congress last week, Philips and Ericsson announced WiFi-ready streetlights and a coalition of five cable companies has formed to roll out open WiFi hotspots. I am a Time Warner Cable (TWC) customer, so I decided to try it out. I checked in my neighborhood and found a WiFi hotspot at a school two blocks from my house. I drove over, parked on the street in front of the school and logged in using my TWC account credentials. I had a solid, five-bar connection (whatever that means). I ran Speedtest, which showed 16 ms ping time, 40.6 mbps download and 5.06 mbps upload -- considerably faster than the service at my home. Our phones are able to switch seamlessly between WiFi and the cellular network (see, for example, Republic Wireless). I do not want to be bothered knowing which I am using at any time -- I just want my phone to pick the best connection available given my ISP terms and the application I am running. I've beaten up on TWC and the other ISPs for exploiting their non-competitive markets in many blog posts, so it is only fair that this post congratulate them on providing a meaningful, competitive service. Today the five-ISP coalition lists 200,000 hotspots in their database. How many will they have in five years? Might the cable companies have outsmarted the phone companies in splitting up mobile and landline access? Comcast has revealed that they have a million public access points, with at least 800,00 of them in the homes of their broadband subscribers and, if they succeed in acquiring Time Warner, that footprint will expand significantly. We may be witnessing a race between cable companies deploying WiFi and phone companies deploying 4G (and later 5G) infrastructure. That might lead to increased competition or, more likely, they will gerrymander access so as to limit competition (following the example of the U. S. House of Representatives). FON's public WiFi routers are gaining steam. I've had one of their dual-SSID routers for years, but never used it because there are so few in my neighborhood, but they are catching on with ISPs in other nations. We can think roughly of mobile, portable and fixed Internet access. It seems the cable and incumbent telephone companies have declared a, perhaps uneasy, truce with Verizon and AT&T focusing on mobile access, the cable companies focusing on fixed access, leaving portable access to go either way. Do the cable folks hope to move in on portable and mobile users by rolling out WiFi hotspots while the phone companies put their radios on telephone poles and anywhere else they can? (Readers over a certain age will recall the short-lived Ricochet wireless network, which also used light poles). It seems we have a bit of actual competition in this race to install wireless infrastructure. Flat World Education (an online textbook publisher) and Brandman University (an online university) have received $9.5 million in venture funding to develop an online, bachelor of business administration degree. The teaching material will not only be "digital first" -- not adapted from a print textbook -- it will be "mobile first." Don't adopt online textbooks from traditional publishers and teach using a general purpose LMS like Blackboard, get the whole thing, delivered on a mobile device, from us. Faculty can act as mentors when students get stuck, and we will do the data mining ("adaptive technology and analytics") necessary to support them in spotting problems. That does not sound much like a Harvard Education, but neither does the experience at many other online and face-face universities. I'd say this is a longshot, but it is way to early to tell, and it is always nice to see a fresh angle. If they are right, this might be the business degree that rules them all (or at least quite a few of them).